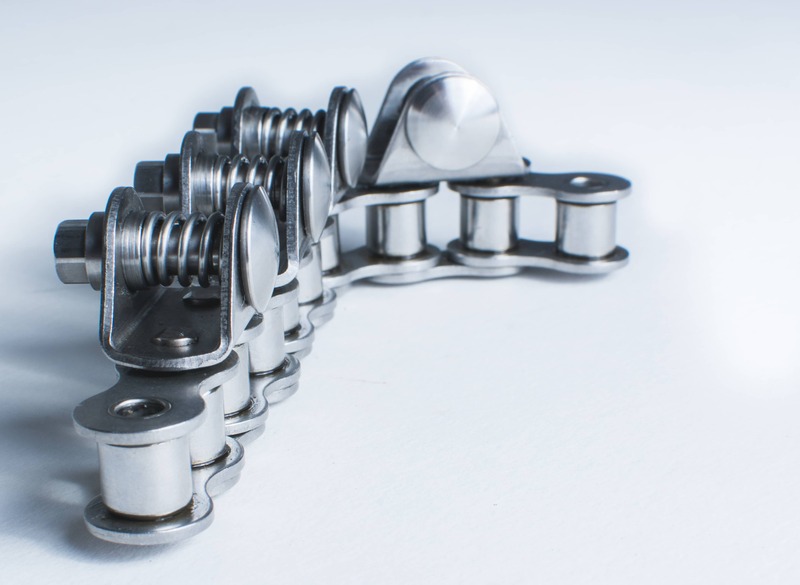 The gripper system consists of an entirely stainless steel chain and attachment (clip, spring, and frame). 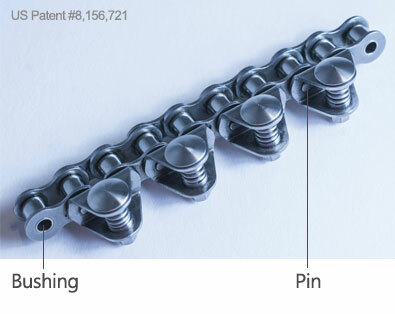 The pin and bushing are the only components in the chain that are nickel plated. 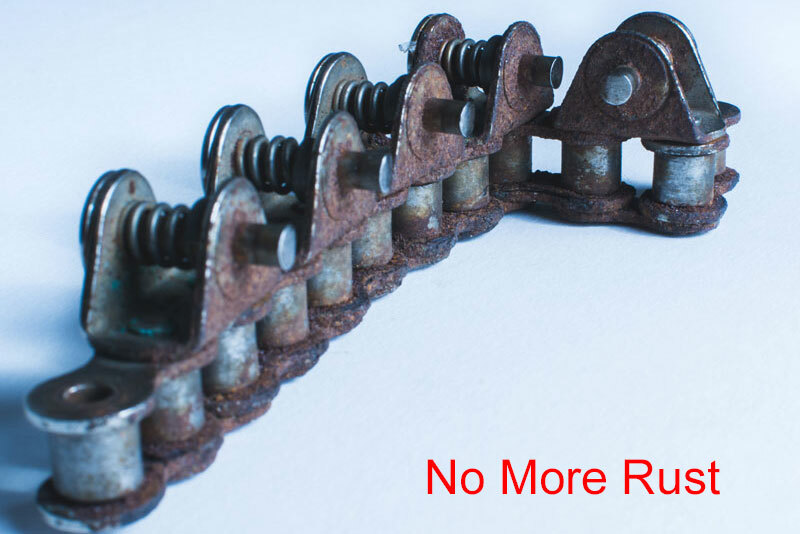 As a result, the chain rusts like stainless steel, and stretches like nickel-plated chains. 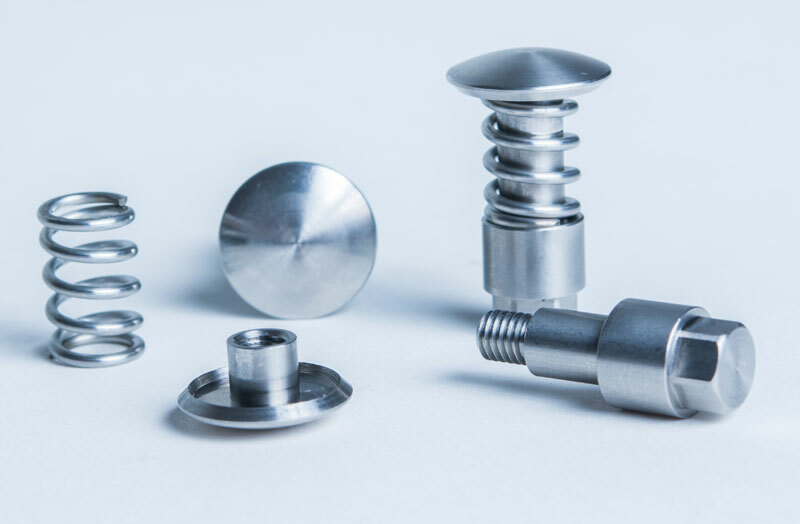 It is reliable, wear and corrosion-resistant and is suitable for flexible, semi-rigid, and rigid applications. Clip designed for maximum film hold and easy replacement. With AME’s Chain, this will never be your problem again.